This month we preview the stunning Northern Beaches of Cairns. Stretching from Holloways Beach to Palm Cove, each location offers its own personality while sharing one common element…the beaches are stunning. Here’s how we break it down. Palm Cove oozes relaxation and has a carefree and tropical sophistication, great for couples and families. Trinity Beach is a true beach holiday central to all of the key experiences of the region. If you are looking for laid back, Trinity Beach delivers. Holloways Beach has the ambience of an island with the convenience of the mainland, only minutes from Cairns. 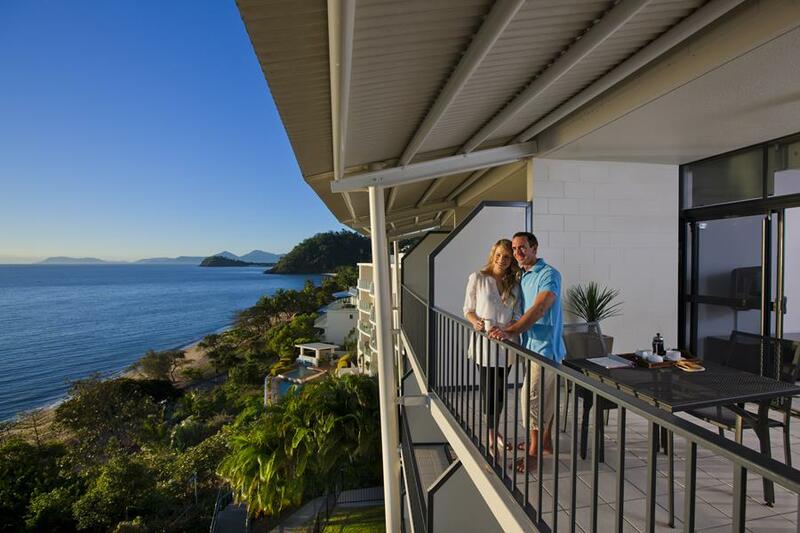 Overlooking Cairns best loved beach, Amaroo at Trinity is the ideal tropical beach escape. With Spacious studio apartments that open to generous and private ocean facing balconies boasting spectacular water and beach views. Guests can relax by the pool, or soak in the heated jacuzzi or have a game of tennis on the on-site tennis court. Some of the room features are; free wifi, kitchenette (including microwave and hotplates), air conditioning and queen size beds. There is a lift available for each floor and interconnecting rooms are available for families. This beautiful boutique resort has a relaxed decor that creates an ambience of casual tropical living at its beachside location. The studios and suites are suitable for a variety of accommodation needs and budgets. 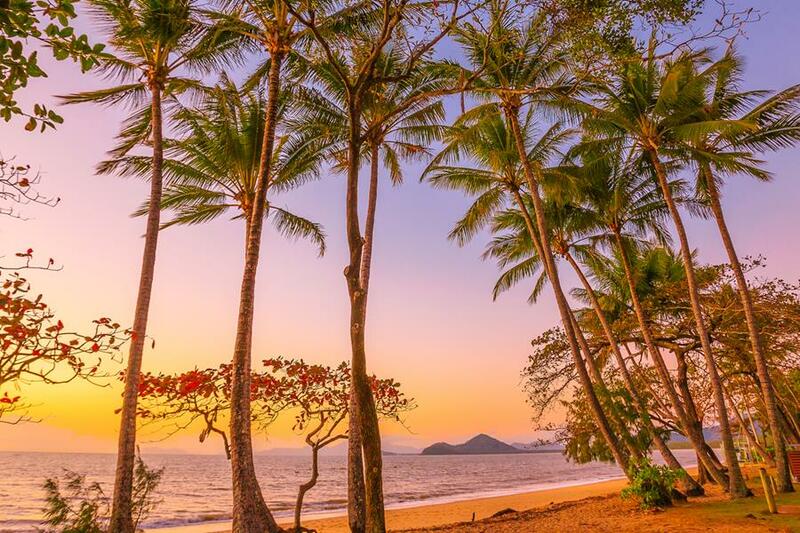 Located right in the heart of Palm Cove and just metres to restaurants, cafes and shops, the resort is ideal for experiencing all that Palm Cove has to offer. Located only 25 minutes from Cairns airport. The suites have kitchenette facilities (excluding Beach View Spa Suite) and all rooms have refrigerators and microwaves. The patio’s have a relaxing sun lounge chairs and coffee table making it the perfect location for a morning coffee or afternoon drink. There is complimentary wifi throughout the resort. Guests will enjoy the spacious apartments at Bellevue at Trinity Beach. They are fully self contained including laundry facilites and are big enough for the whole family. From the balcony guests can enjoy the spectacular sunrises or layback on a sunlounge relishing in the sounds of the ocean below. 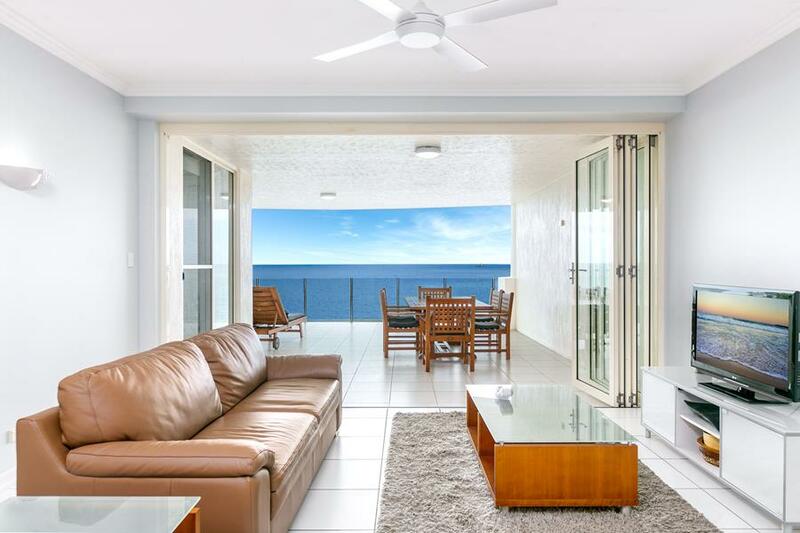 The apartments are fully air-conditioned and the balcony boasts 180 degree views over the Coral Sea. The property has a large lap swimming pool and spa located next to the BBQ facilities. It’s surrounded by beautiful tropical gardens making for a tranquil environment. Located right on the esplanade at Trinity Beach guests can enjoy the many restaurants, cafes and great family atmosphere that Trinity Beach has to offer. This great beachfront location is only minutes north of Cairns and right next to the beach and warm tropical waters of the Coral Sea. In fact it is the closest beachfront property to Cairns. 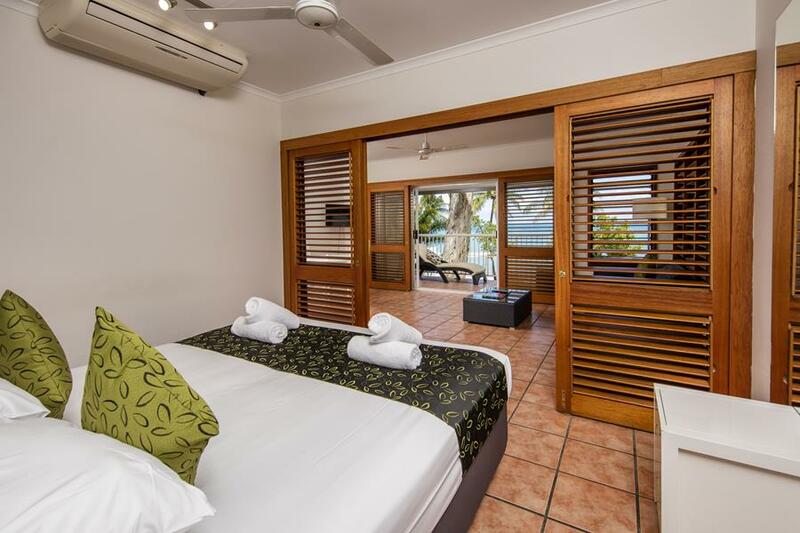 This is truly a relaxed lifestyle with spacious one bedroom self contained apartments, each with a private balcony overlooking beautifully landscaped gardens and the pool area or the Coral Sea. The resort has a large pool and spa and covered BBQ facilities, a great place to relax and enjoy reading a book, having a swim or enjoying a meal with family. Holloways Beach has numerous dining options all within walking distance of the resort. There is also a small supermarket located approximately 1km away or the resort can organise groceries items to be delivered to the room.